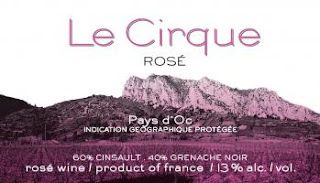 The 2017 Pays d'Oc Rosé is a blend of 60% Cinsault and 40% Grenache Noir sourced all from the Aliganan region of the Languedoc. It offers a more Provençal pale color as well as hints of peach and cherry fruit, medium body, juicy acidity and a clean finish. It's another high-quality rosé well worth checking out.